Remember those lingering four carloads full of crap I spoke of in my last post? A third car garage is SO great! A spot for each car, and then a big ol' open area for all of your CRAP! We were cheap and didn't want to invest in a bunch of boxes to pack up our stuff all nice because we knew we were just basically moving across town. Bins were expensive; and really, the majority of this stuff is just items from the rooms in our last houses basement, that we don't have spaces built for yet, but will once the basement in THIS house is finished. The bins that you DO see are from our storage room. Memory boxes, pictures, keepsakes, etc... Those items (along with a bunch of this, for now anyway) need a new home. I know if I leave everything out here like this for too long it will gather tons of dirt, dust and items are bound to get broken. 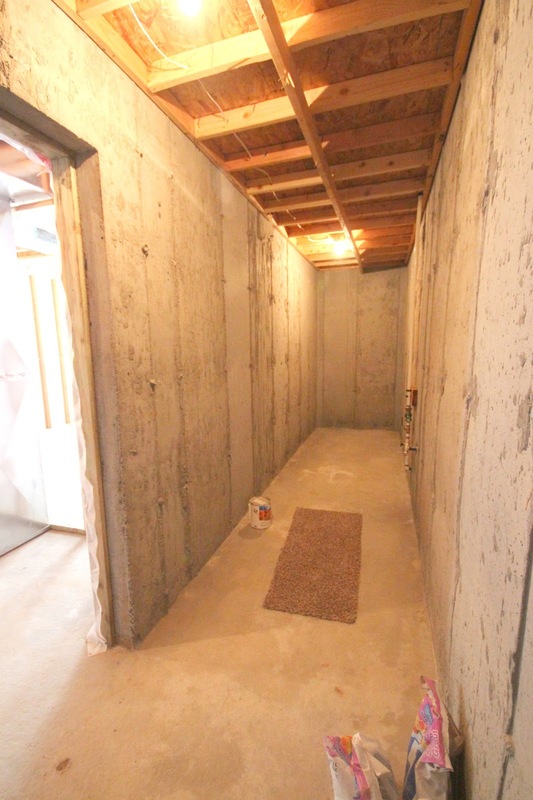 We've been calling in contractors to give us bids for finishing off our basement, and it's going pretty well. 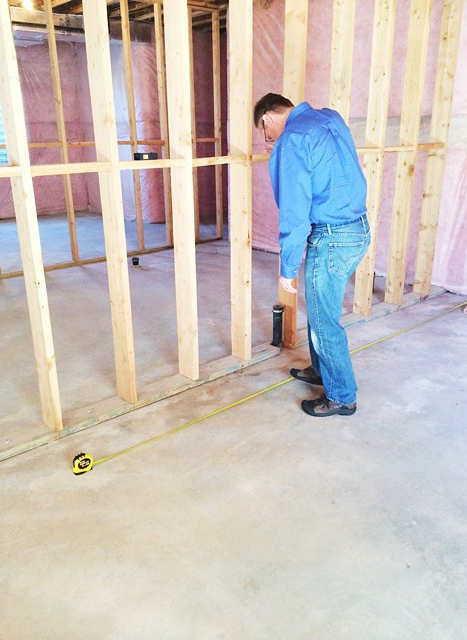 We really just need to get the basic framing, drywall, paint and flooring installed. 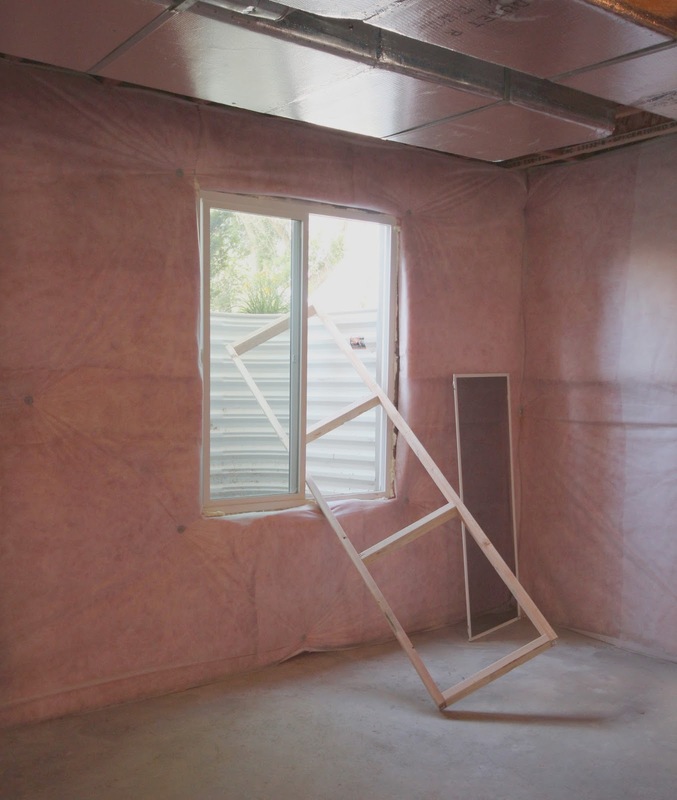 We like to DIY, but let's get real, THAT kind of stuff would take us way too much time and energy, so we're leaving it up to the professionals. For the time being though, we ARE going to start in on a little project with my 'HandyDad', of building some simple shelves in our cold storage room under the front porch of our house. 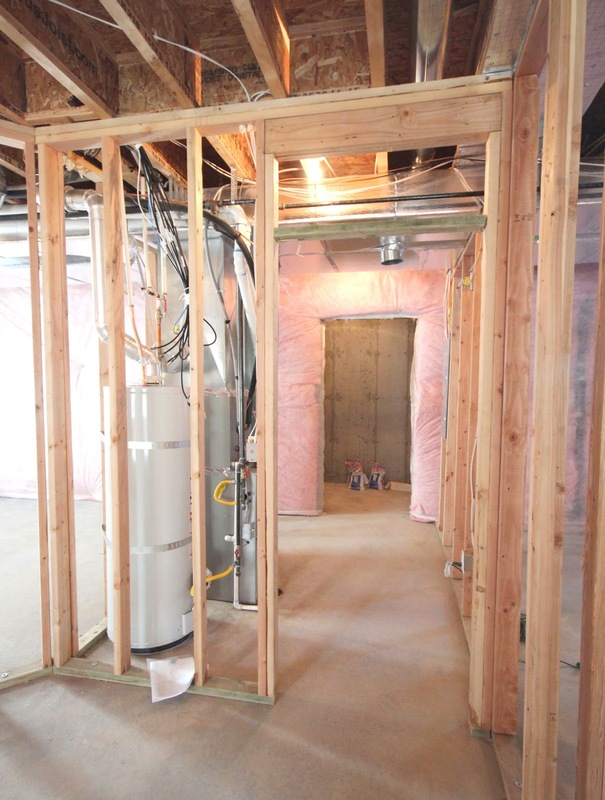 This area is located inside the furnace room, and will eventually have a big exterior metal door on it, that will keep all the cold air from pouring into our main basement living space. 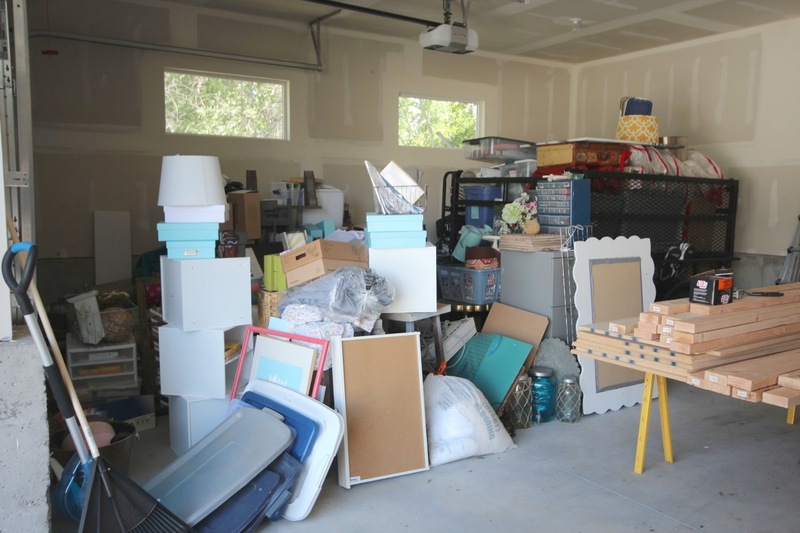 For those of you who aren't from Utah, this sort of storage area is really common for homebuilders to include, and AWESOME if done right. You can store SO much stuff! Bins, Christmas trees, camping gear, folding tables, etc. 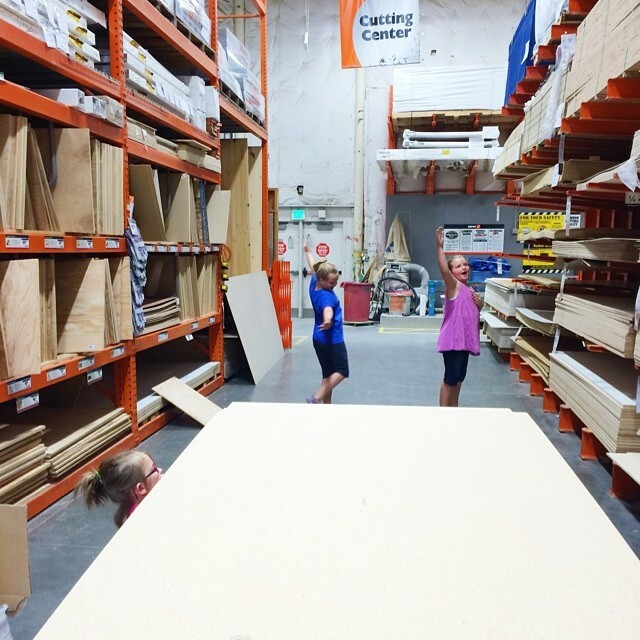 Last night we got to work by heading to Home Depot and dancing in the plywood isle. 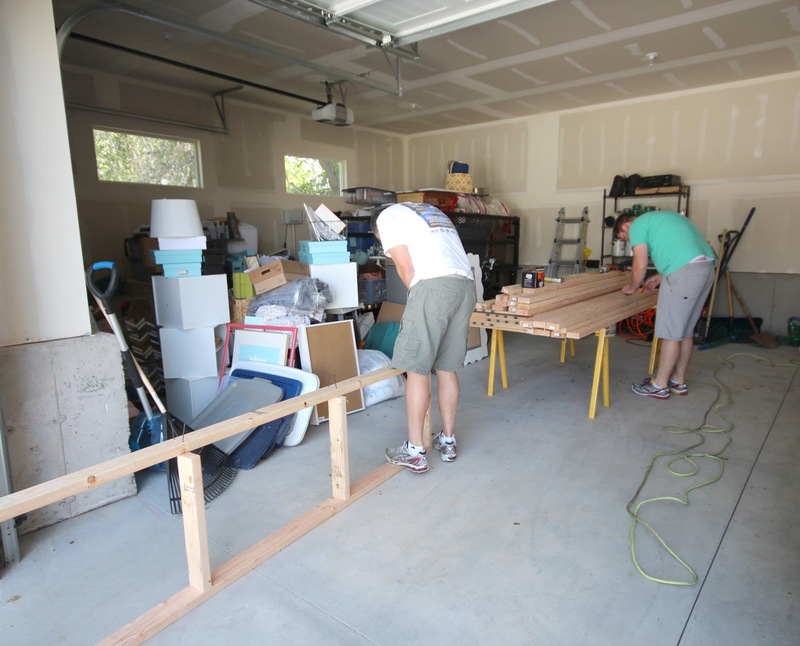 Okay, we really gathered all of the lumber for this project, so that we'd have it ready for today. About 30 8ft 2x4's and 4 sheets of 4x8 plywood cut in half longways. Cason and my Dad have already started rippin' through these boards, pre-making shelf bases and dropping them through one of the windows in the basement, so they don't have to haul sawdust through my house and risk bumping into any walls. 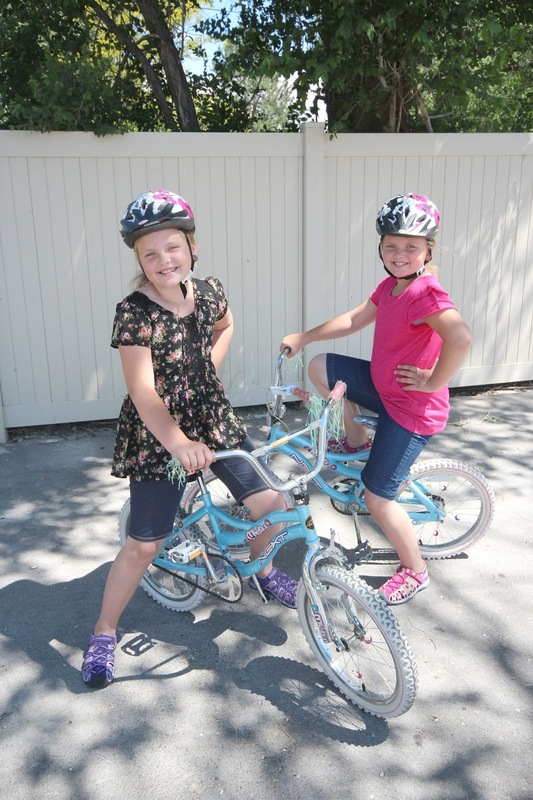 Meanwhile, the kiddos are content speeding around on their bikes outside and enjoying the Summer sunshine and cool air. The weather is crazy-awesome this month, and I hope the cooler temperatures stick around just a little bit longer. Alright, well, I better get moving on MY project today. Operation mini wall makeover! 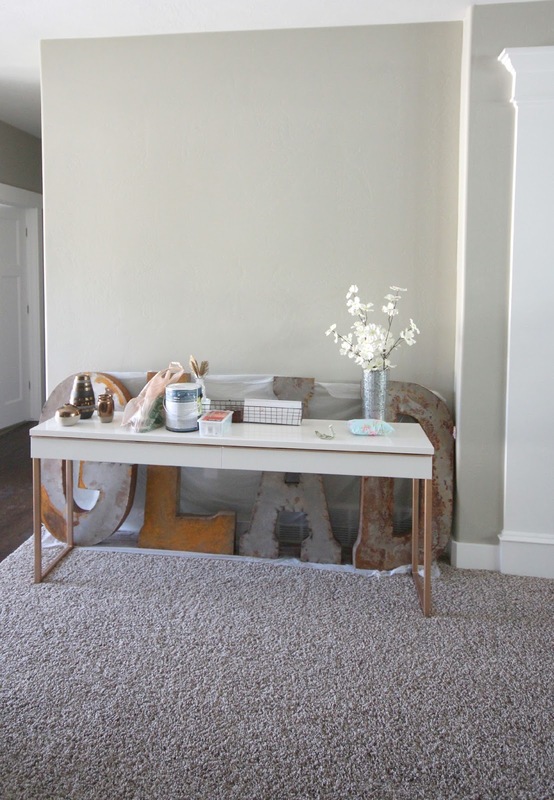 I bought these awesome GLAD letters on Joss & Main a few weeks back, and I'm DYING to do something with them! I love this word, it describes my whole outlook on this new chapter of our life, and I want them hanging front and center as soon as possible. Oh, PS: Just in case you were thinking about spraying down your unfinished, exterior wood stairs with water, and then walking down them immediately after... don't. 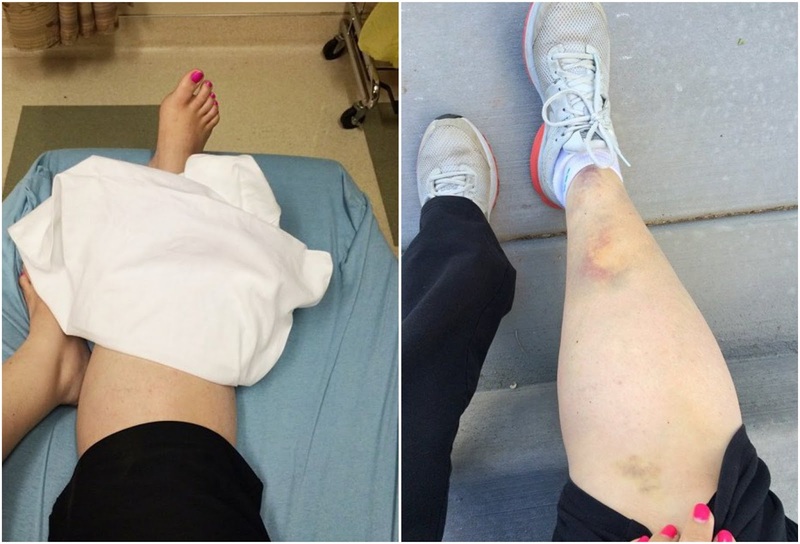 You will probably fall, feel like you broke your leg, end up at the ER, and then wind up with some crazy-ridiculous bruising a few days later. You live and ya learn, right? Always lovely posts and photos! Such an inspiration to us!